The Budget SLP: Free App February Is Back! Last February, I posted free apps that could be used in therapy or to help you with everyday routines. I thought that it might be difficult to repeat that, but new apps come out everyday. 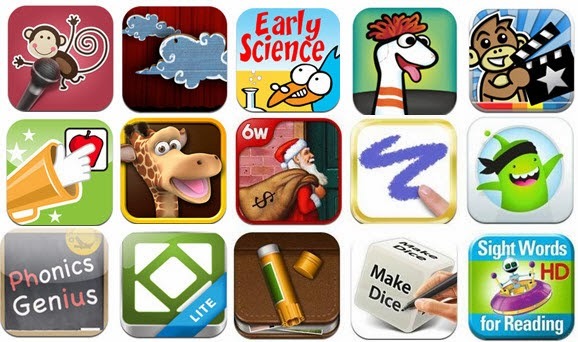 During Free App February 2014, you can look forward to Apps for this Winter Season, More Tools for You, Stories to Read, Cats and Dogs (And Other Pets), Cars and Trucks, and more! Many of the apps that I posted last year are still free. So, if you didn't see these posts in 2013, check them out here.